Karl Chevrolet has provided equipment for New Canaan Baseball/Softball through Chevrolet's national program again this year. "Chevy Youth Baseball is a grass-roots initiative that establishes a positive relationship between local dealers and the communities they serve," said Stephen J. Karl, vice president of Karl Chevrolet. "Now in its seventh year, the program is part of Chevrolet's nationwide commitment to support youth sports, one community at a time. "The Chevy Youth Baseball program includes both monetary and equipment donations. Local leagues are invited to select the equipment they need each year from a comprehensive catalogue. In 2013, New Canaan Baseball/Softball received new equipment bags and batting helmets; in the past they have selected items ranging from catcher's gear to baseballs and softballs." In addition, New Canaan Baseball/Softball has received coupons to allow its members to enter a drawing for a 2013 Chevy Traverse, along with HD TVs and other prizes, which it handed out to families on photo day. This year Chevrolet dealers will provide assistance to approximately 340 leagues in the northeastern region. 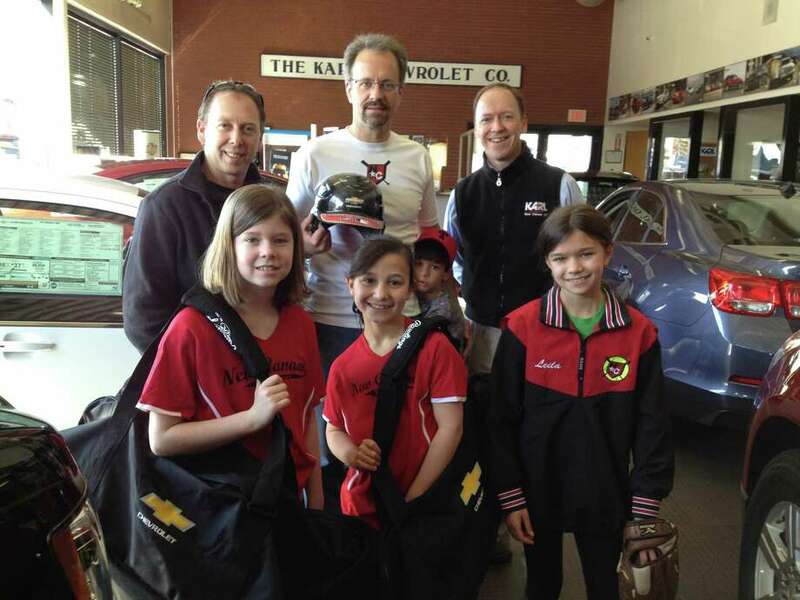 sponsoring New Canaan Baseball/Softball for the Chevy Youth Baseball program since it first was offered," Karl said, "Karl Chevrolet has actually been a sponsor of the New Canaan Baseball/Softball leagues since they first started the sponsorship program decades ago. Both my brother Leo and I participated in youth baseball, as did my four boys. I also had the privilege to coach in the league for many years, and recently my son, Will, coached a summer Babe Ruth team. In addition my wife, Tracey, served on the New Canaan Baseball board for many years." New Canaan Baseball/Softball Inc. is one of the largest youth sports programs in New Canaan, with more than 1,000 players registering for the 2013 spring season. The organization is dedicated to a teaching program that includes realistic development, strong encouragement, fairness and respect in each endeavor, all with the emphasis on fun. Founded in 1927, the Karl Company operates the Chevrolet dealership at 261 Elm St.